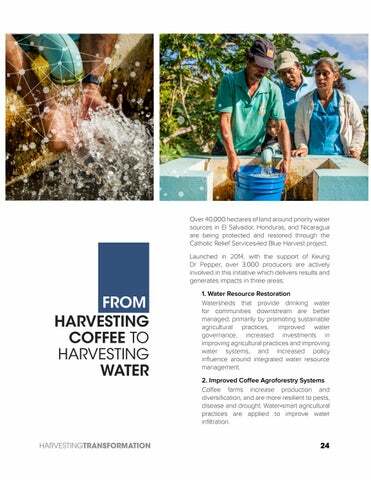 With nearly 75,000 people benefiting downstream from improvements to water systems, investing in water-related coffee projects, such as Blue Harvest, represents investing in the health and future of upcoming producers, consumers, and communities as a whole. 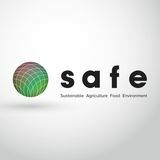 "The issue of gender equity involves all of us. 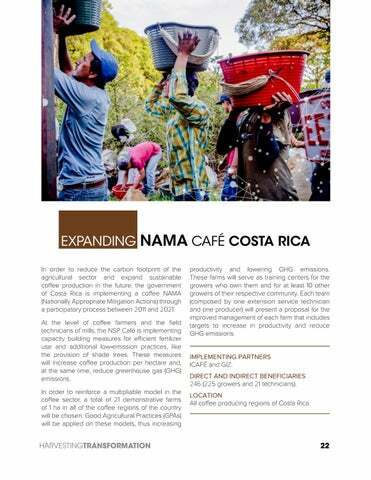 It isn't just about coffee farming communities. 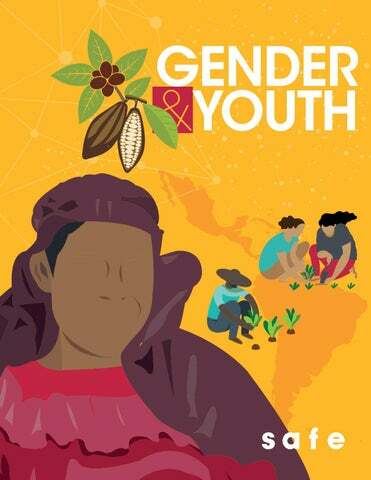 [...] The global coffee sector is comprised of a beautiful diversity of people from all origins, dozens and dozens of languages, and different expressions of gender. 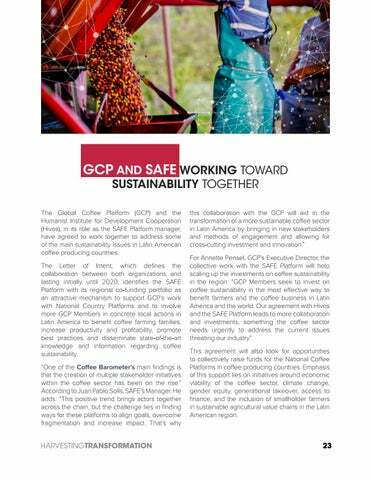 The coffee sector needs to be welcoming and inclusive to everyone." 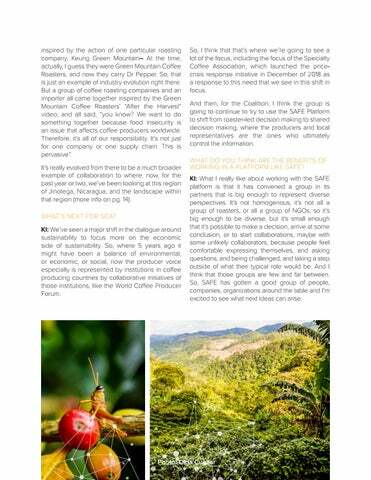 - Kimberly Easson These pages of the magazine highlight how SAFE projects have invested in youth and gender to create more sustainable coffee. 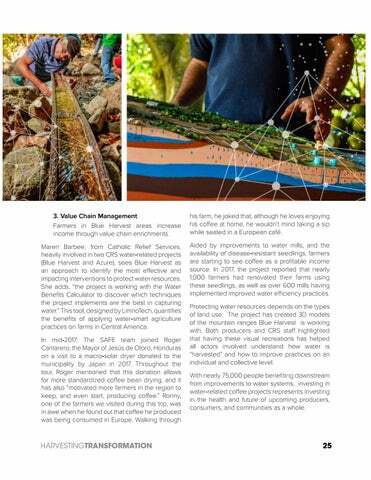 Oscar and Lina, coffee farmers from Antioquia, Colombia share how the Farmer Link project has impacted their coffee and family. 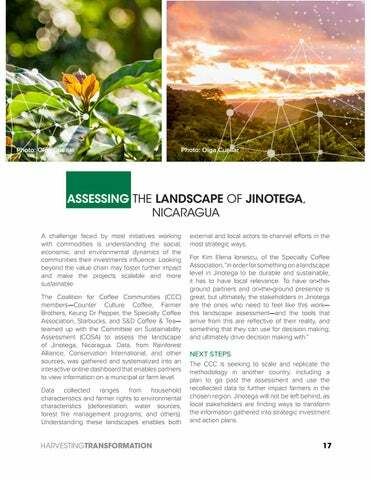 "Participating in these types of projects allows us to improve our coffee and livelihoods, which helps create a better future for our children."